This is the third year that I’ve had the privilege of introducing my equus coach community to wild mustangs. I first experienced gentling wild horses over ten years ago, and it was one of the most profound encounters I’ve ever had. Gentling a wild mustang is a slow and often tedious process through which a wild horse becomes tame. There are many ways of doing this, but the more traditional approach usually involves tying the horse up, confining it, and limiting its natural expression until it gives up its need for self defense and becomes docile enough to be around humans. This can be traumatic for the horse and often takes months of training. I was taught a different way — to allow the horse’s natural expressions, to be present to the dangers we present each other, and to build a relationship on a foundation of mutual trust. While it requires deep internal work, if you are open and present, this process allows you to create a profoundly genuine connection with the animal in a matter of days. Working with wild mustangs is a visceral experience. Each mustang is unique and each moment is unique. 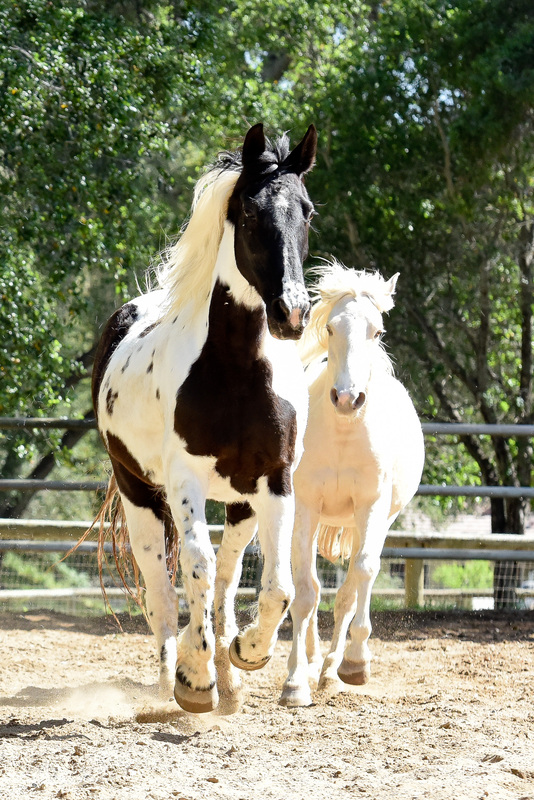 One moment can be very calm and feel like a clear and generous bond, then one slight shift in your emotional state or intention and the horse can take off at full speed or come inches away from kicking you in the head—it certainly gets your attention! The encounter is an invitation to presence like nothing else I know. 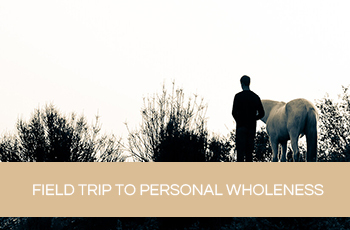 Working with wild mustangs allowed me to quickly see the places where I had an attachment to an outcome or where I wasn’t being fully authentic, even when I genuinely thought I was. My inner landscape was broadcast back to me in the literal and often dramatic behavior of the horse. This pivotal learning curve took me from a competent horse person to an exceptionally good listener. It taught me how to build relationships from a place of honesty and openness and to trust each moment, allowing myself to accept my emotions. It doesn’t mean I get it right all the time, but it gave me a new level of desire and respect to continually listen for what is needed. When I started training other equus coaches, I knew it would be too much to ask a new student to interact with a wild mustang. It would be like asking someone to defend a PhD dissertation on their first day of high school. 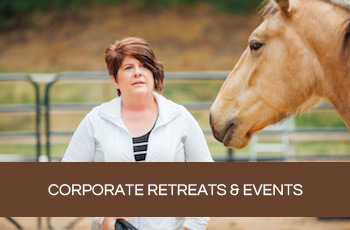 But when I put together my Master Facilitator Equus Coaching Apprenticeship Program, which prepares equus coaches to run group workshops, I sensed the mustang training would be an essential component and I felt that the apprenticeship would enable my master coaches to have enough experience and time to really receive its gifts. Since there is an element of danger present in each moment, this work really keeps you on your toes. I asked Lori and the other coaches to feel the presence of the moment and to use feeling states to discern what wants to happen. This gives them a good indication of how they might go about building a connection to the wild animal, in a way that our fixed ideas and expectations just can’t. Day by day, I watched their ability to read energy and create authentic connections improve dramatically. This carries over into their work with clients as well as into their relationships with themselves and others. It was an incredible gift to witness Lori’s process. Without her willingness to fully feel anger, she wouldn’t have been able to build a genuine connection with the mustang. At the moments when she went into a pattern of trying to be calm and center herself, she disassociated from the anger and thus from being fully present with the horse. As soon as the animal can feel a blockage in the emotional energy, it won’t trust you. When Lori was able to find an internal place of total acceptance, she was able to be fully present and trust the moment. Within that level of awareness, the connection took care of itself. may just be a powerful access point to your own relationship with presence.